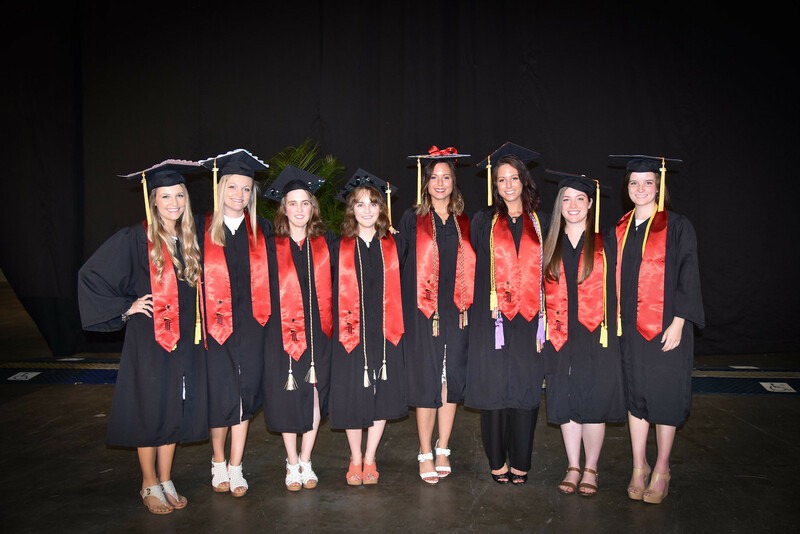 Members of the UMB Class of 2018 received their diplomas in a Universitywide commencement ceremony at the Royal Farms Arena on May 18. 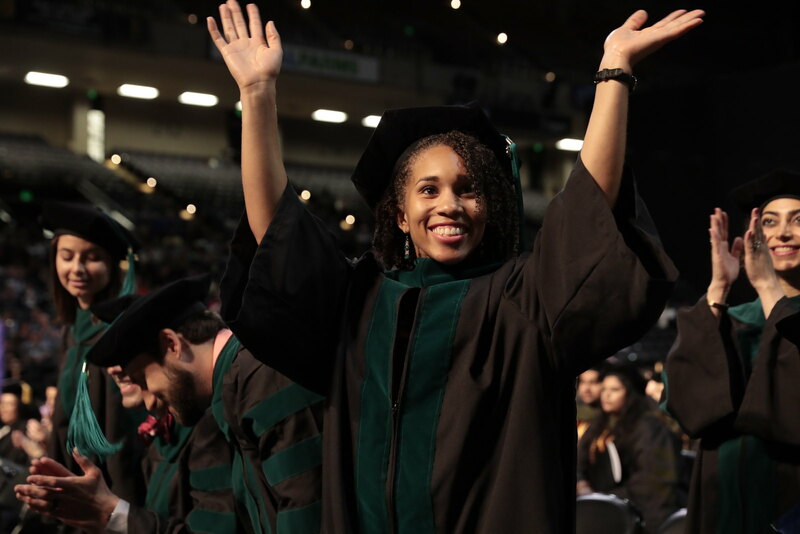 The 2,000-plus graduates were cheered on by family, friends, and faculty as they took their biggest step thus far as health care, human services, and law professionals. More Students photos are available on Flickr. The Universitywide commencement ceremony featured esteemed speakers and honorees including our own alum, Jody Olsen, PhD, MSW, director of the Peace Corps. More Speakers and Honorees photos are available on Flickr. 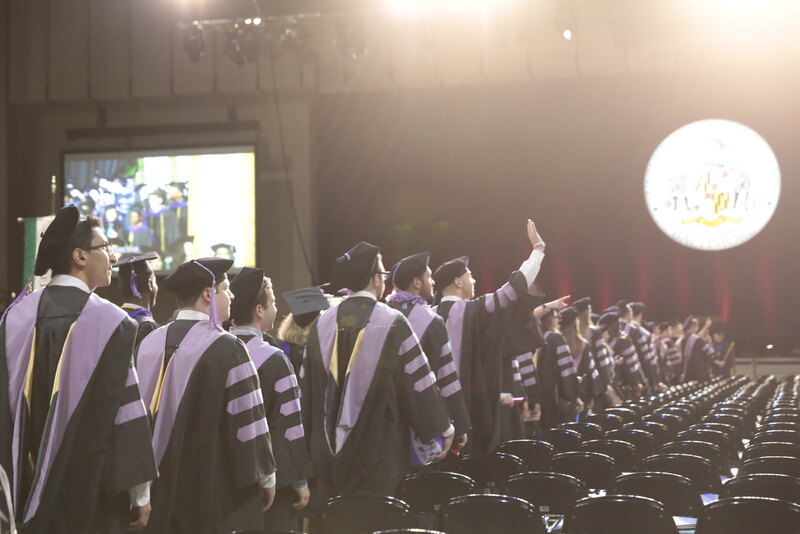 Students made their way in full regalia to Royal Farms Arena in a festive academic processional before receiving their degrees at a Universitywide commencement ceremony. More Procession photos are available on Flickr. 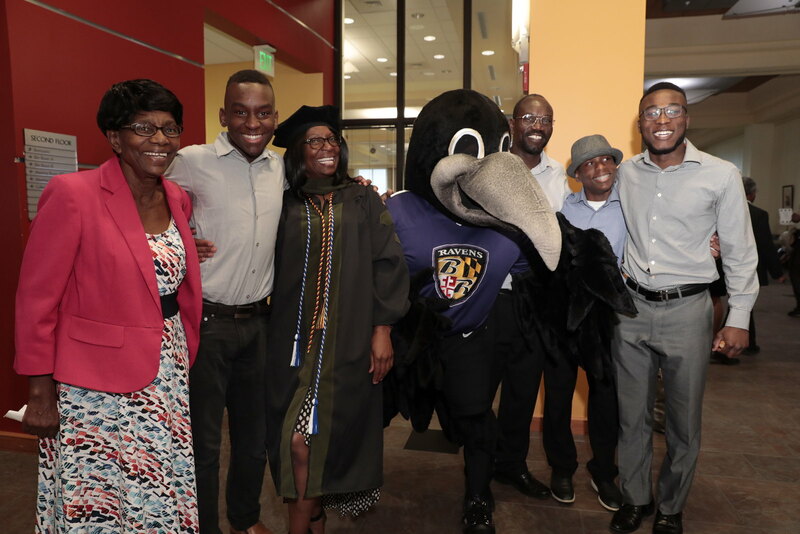 Having completed earlier school convocations, the graduates gathered in the SMC Campus Center for a Party in the Park, moved indoors because of the rain. Family and friends put down their umbrellas to enjoy food, music, and fun activities. More Party in the Park photos are available on Flickr. 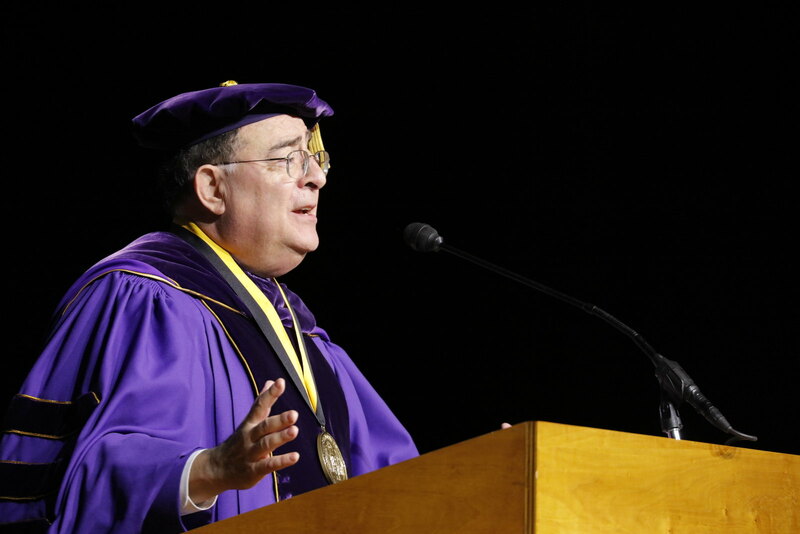 Each of UMB’s six professional schools and its interdisciplinary Graduate School held a school convocation either on May 17 or the morning of May 18, before the Universitywide commencement ceremony. More Convocations photos are available on Flickr.